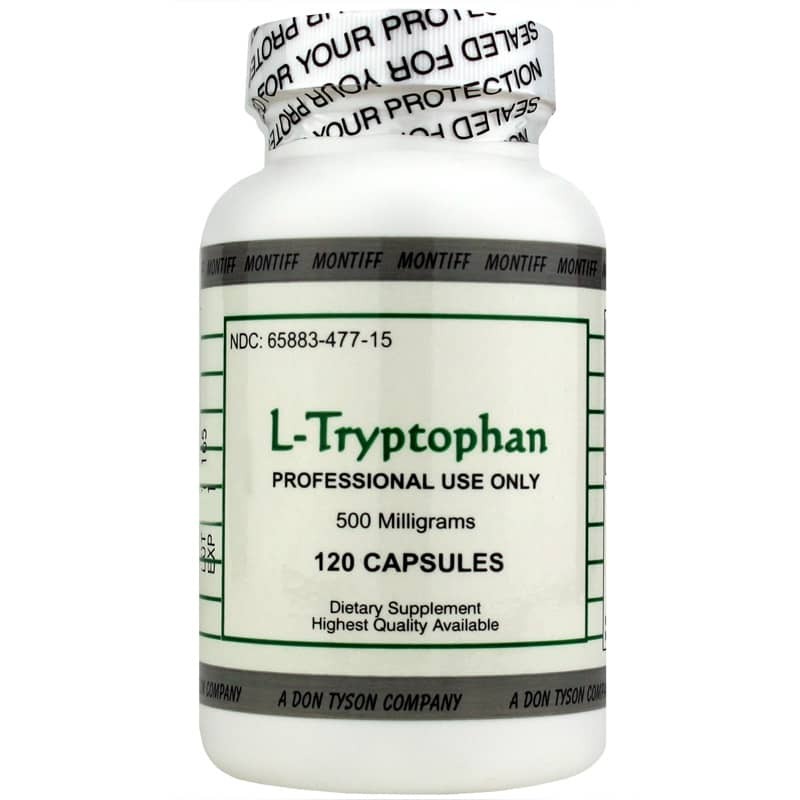 Montiff L-Tryptophan contains 500mg capsules of high-quality l-tryptophan to help support those who have sleeping problems or feelings of depression. An essential amino acid, meaning you must get it from your diet, tryptophan enters your bloodstream and transforms to the neurotransmitter serotonin in the brain. Raised serotonin levels may help to provide a sense of calm and relaxation, as well as to promote sleep. Serotonin deficiency may produce anxiety, a lack of energy, feelings of depression, or sleeping problems. Tryptophan also converts to Niacin, a B vitamin, meaning it has a role to play in transforming your food into energy. It also contributes to healthy hair, skin, eyes and liver and nervous system function. 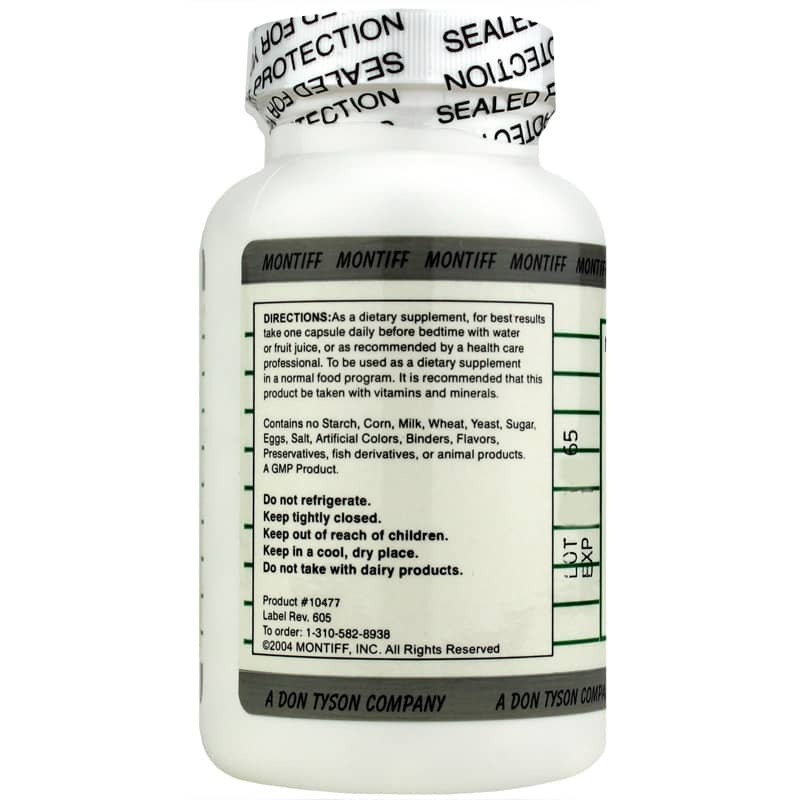 Montiff supplies only the highest quality, USP Tryptophan, which is now available for professional use. Contains NO: starch, corn, milk, wheat, yeast, sugar, eggs, salt, artificial colors, binders, flavors, preservatives, fish derivatives or animal products. Adults: As a dietary supplement, for best results, take 1 capsule daily before bedtime with water or fruit juice, or as recommended by a healthcare professional. Do not take with dairy products. 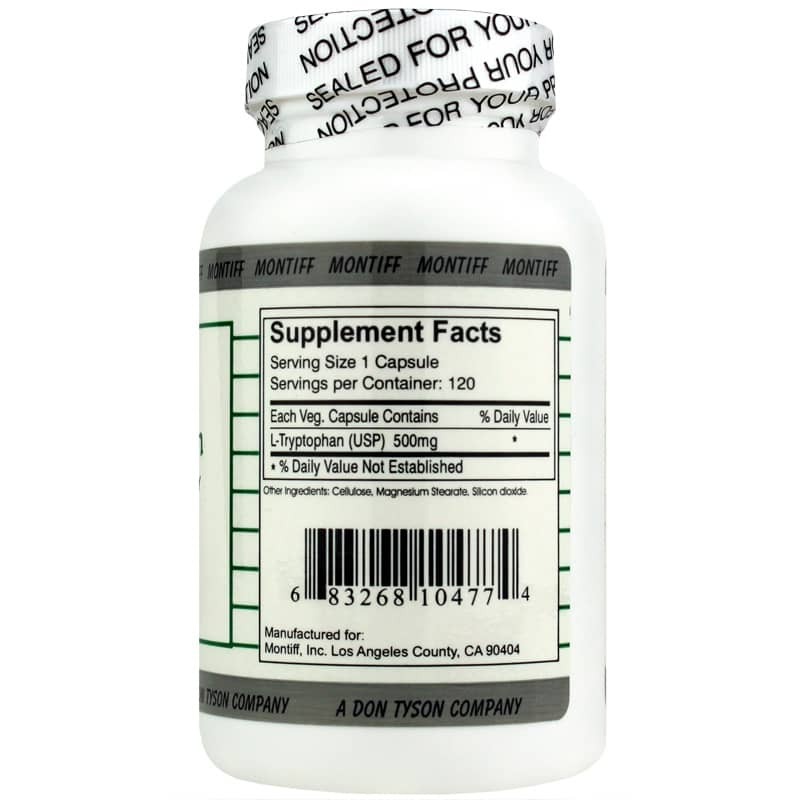 To be used as a dietary supplement in a normal food program. It is recommended that this product be taken with vitamins and minerals. If you are pregnant or nursing, please consult your healthcare professional before using this product. Keep out of the reach of children. Those taking drugs classified as SSRI or MAO inhibitors should not take Tryptophan supplementation without consulting with their physician. I've used it for years and can vouch for its reliability.